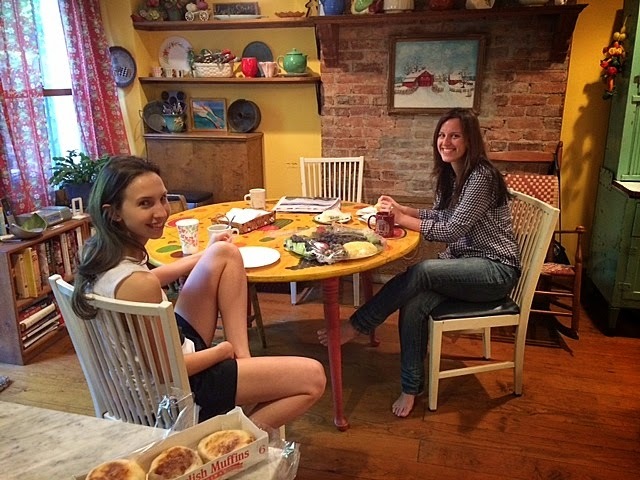 On the morning of my daughter's wedding, about ten days ago, I was up bright and early to accept a Fresh Direct* delivery intended to keep all the troops -- bride, bridesmaids, wedding planner, photographer and family -- nourished during the hours of preparation preceding the big event. But after arranging the food on platters, I had a lot of time on my hands. 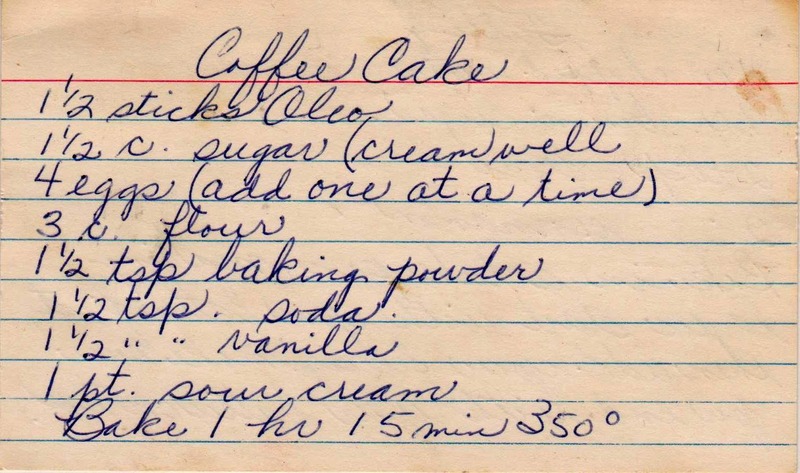 So naturally, I baked a cake, figuring that the folks who filled my house that day might enjoy a freshly made coffee cake. 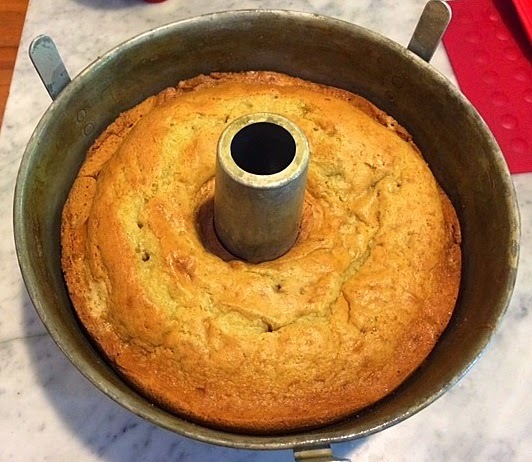 I chose the easiest vintage recipe from my collection, a one-bowl cake that could be put together in minutes. It was delicious -- and much appreciated by our guests. 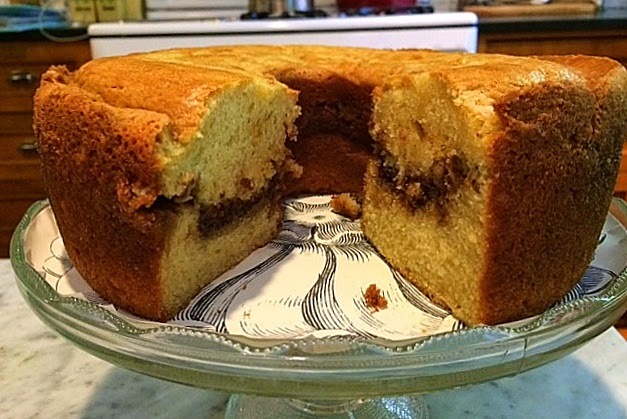 In fact, this is a perfect go-to coffee cake for any occasion. 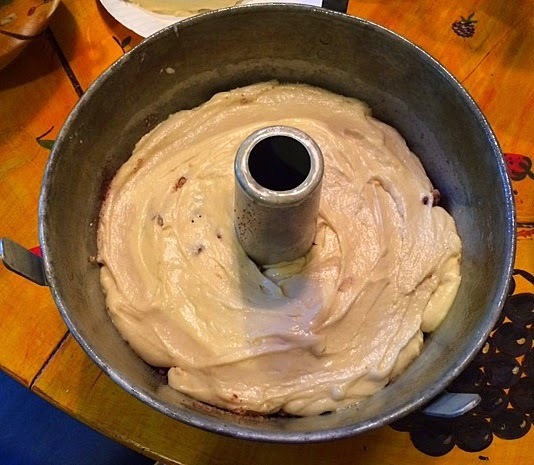 The batter is a typical flour, sugar, butter and egg mixture. The addition of sour cream makes it especially rich. 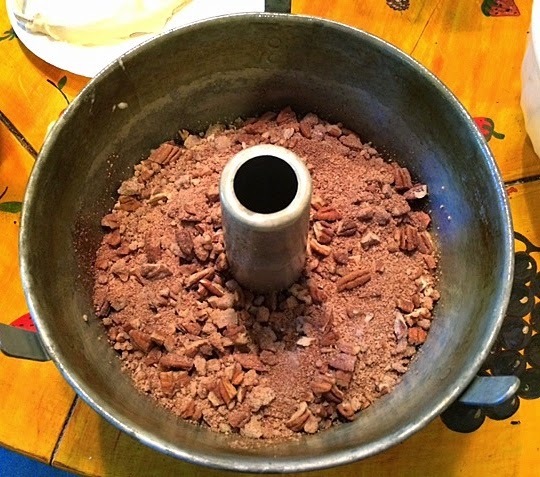 Half the batter is placed in the bottom of a tube pan, and then topped with the filling -- cinnamon, nuts, sugar and flour. Spoon the remaining batter on top of the filling. It's ok if some filling is peeking through. then run a butter knife around the edges and turn out onto a plate. I flipped the cake (see top photo) before serving. The most difficult part of the wedding morning coffee cake was removing it from the oven. I had to leave (for the all-important hairdresser appointment) while it was still in the oven. Luckily maid-of-honor Laurie (below right) stepped in, determining when the cake was fully baked and pulling it from the oven at the perfect moment. 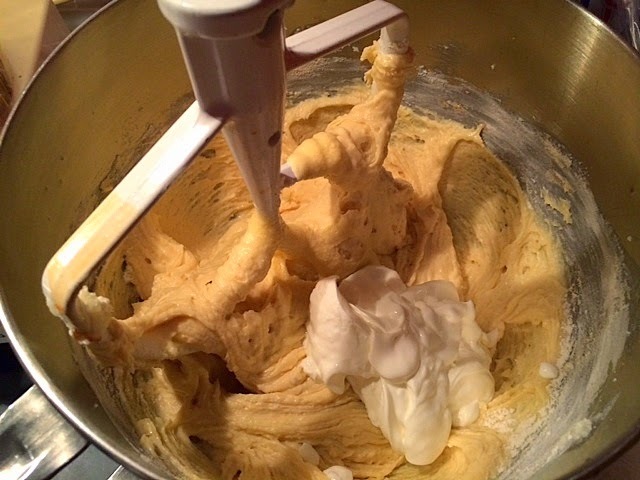 Production notes: I used butter, not Oleo. I mixed the flour, baking soda and baking powder together, and added it alternately with the sour cream, beginning and ending with the flour. I made just two layers of batter, putting the filling in between. Grease and flour the tube pan, so it releases easily. Part of the wedding production team, below. 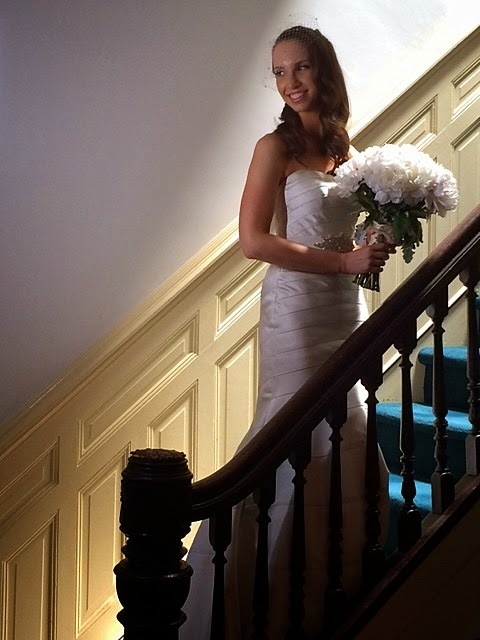 The bride, below, moments before we left the house for the ceremony. She did not have any coffee cake and, in fact, I heard a rumor later (can anyone say hairdresser gossip?) that she complained that I baked a cake on the morning of her wedding. As if the whole day were about HER! 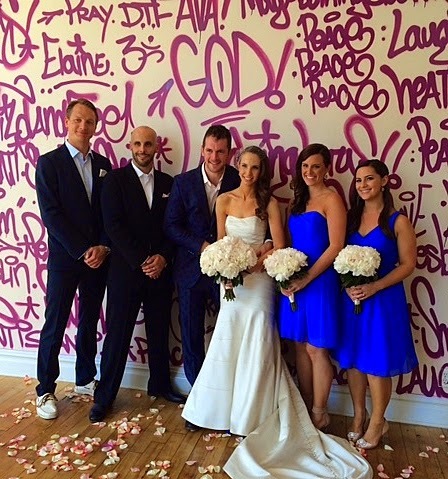 The wedding ceremony was at Laughing Lotus Yoga studio in Manhattan. *Fresh Direct is a food-delivery service in NY. Both the cake and the bride look delicious, in their own appropriate ways. Congratulations, and thank you for this blog, which I enjoy reading as part of my weekend ritual. 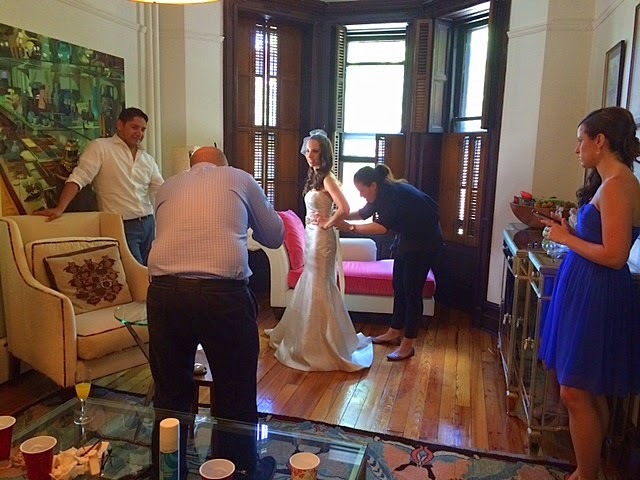 Lovely bride and bridal party! Cake looks delicious. 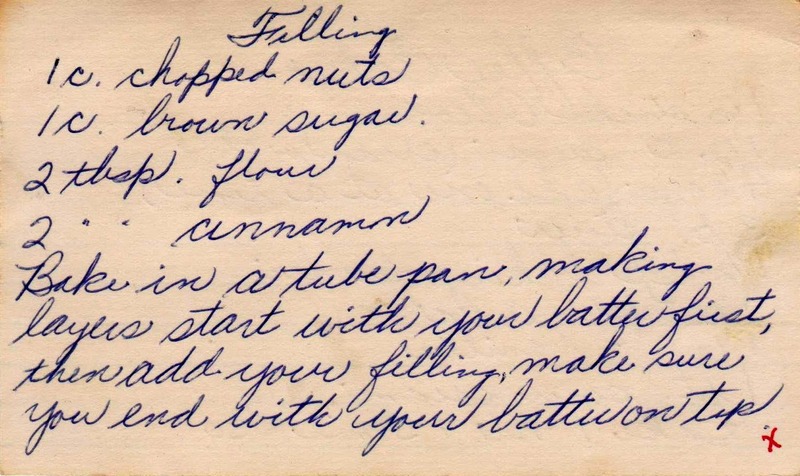 The recipe card calling for oleo reminds me of going through my mother-in-law's recipe cards. Glad you used butter instead. Other than about a three-year period way-back-when, I've always used only real butter. My mother never fell for the so-called health benefits of margarine, so I grew up eating butter. Congratulations! 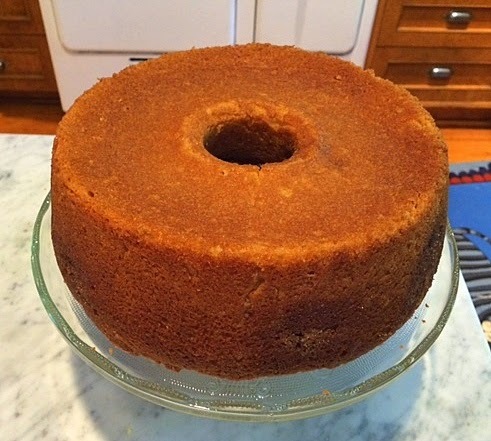 It’s a very nice picture and I am grateful to you for sharing the coffee cake recipe here. I would love to bake it for my sister on her wedding it. She is getting married next month in one of the beautiful Chicago venues and I really liked the idea of a morning cake.